MST3K Ep. 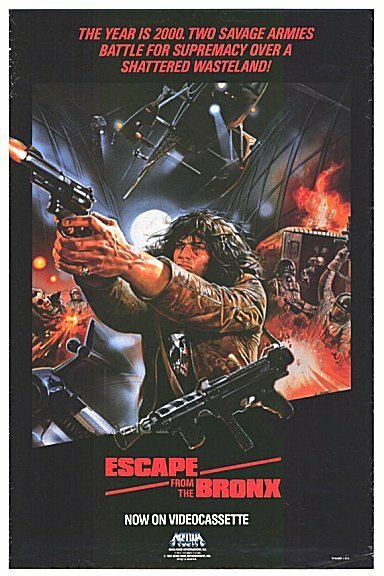 705 - "Escape 2000"
An evil corporation wants to raze and rebuild the Bronx, and secretly attempts to kill its obstinate residents. A band of rebels fights back. Catchphrase: Leave the Bronx!